If you have never studied Italian online and would like to know more about this kind of lessons, have a look at our list below, and discover some of the most important advantages of learning Italian online. Remember that at Parlando Italiano we offer Italian lessons by Skype with native and qualified Italian tutors. The first lesson is totally free, so if you want to see for yourself how effective our Italian lessons online are, just contact us! Do the words buongiorno and andiamo say something to you? They sound like romance and smell like pizza because they are Italian words. Have you searched on the internet for Italian lessons without finding anything that fills your expectations? Today we want to offer you the best online Italian language courses affordable from the comfort of your own home. During the Summer we all want to relax, change activities and routines. However, if you’re learning a language, stopping for two months will result in summer learning loss. To prevent it, you can receive our one to one Italian summer classes in London. 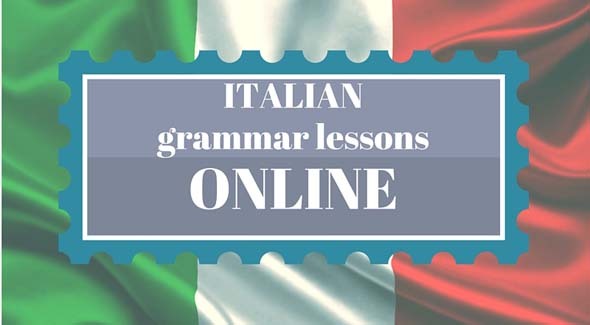 If you’ve always wished to learn Italian, but you struggle to find the time and energy to go to a school and start studying, then you need our Italian grammar lessons online. No matter whether you are a beginner or almost bilingual, we guarantee you that your Italian will improve from the very first class. We have the best professionals on our staff. They all are fully qualified teachers, who love working with people and you’ll surely be caught up by their passion and hard-work. Italian for kids represents a great opportunity for children to learn Italian easily and quickly at home with a personal native Italian tutor. At ‘Parlando Italiano’ we have a broad range of experience teaching Italian to students of all ages and abilities and hence, we know how to adapt according to the students particular needs. Looking for the best way to learn Italian online? Congratulations, you’ve finally found what you need! Our extensive experience of teaching Italian through technology offers you the best online Italian courses with qualified native Italian tutors.